Black holes get a bad rap in popular culture for swallowing everything in their environments. In reality, stars, gas and dust can orbit black holes for long periods of time, until a major disruption pushes the material in. A merger of two galaxies is one such disruption. As the galaxies combine and their central black holes approach each other, gas and dust in the vicinity are pushed onto their respective black holes. 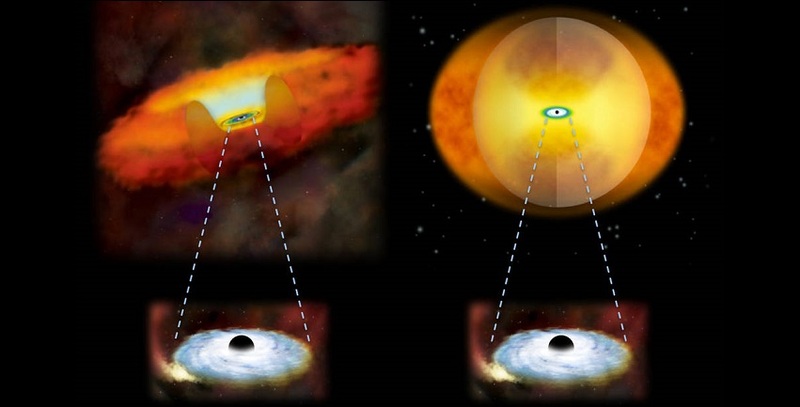 An enormous amount of high-energy radiation is released as material spirals rapidly toward the hungry black hole, which becomes what astronomers call an active galactic nucleus (AGN). NuSTAR is a Small Explorer mission led by Caltech and managed by NASA's Jet Propulsion Laboratory for NASA's Science Mission Directorate in Washington. NuSTAR was developed in partnership with the Danish Technical University and the Italian Space Agency (ASI). The spacecraft was built by Orbital Sciences Corp., Dulles, Virginia. NuSTAR's mission operations center is at UC Berkeley, and the official data archive is at NASA's High Energy Astrophysics Science Archive Research Center. ASI provides the mission's ground station and a mirror archive. JPL is managed by Caltech for NASA.